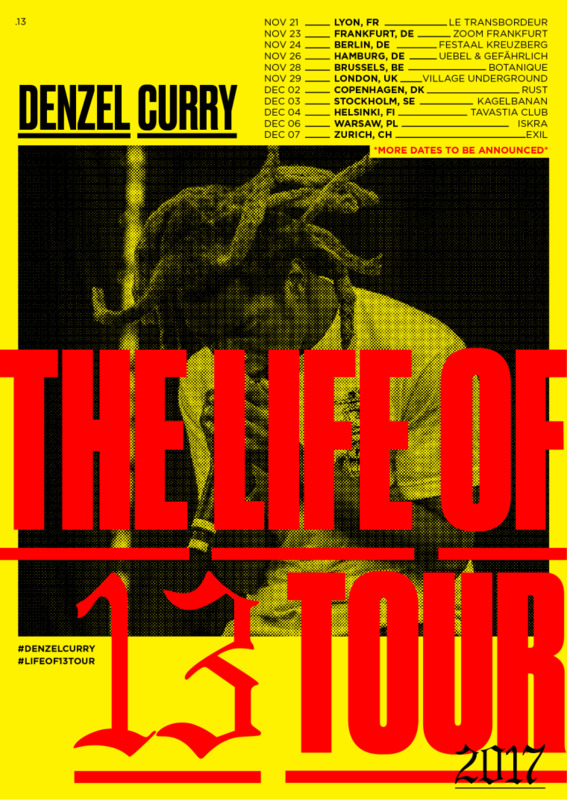 The Florida rapper has announced a European tour in November. Denzel Curry recently recruited BADBADNOTGOOD and went back to his 2016 album Imperial to rework two tracks with the multi-skilled group. This led to a new version of his song "Ultimate" that combines the lyrical intensity of the original with looser, jazzy instrumentation. Today the official video for the team-up is premiering on The FADER. It perfectly visualizes the sounds of the song, taking a relaxed jam and turning it on its head with psychedelic special effects. Speaking to The FADER via email, Curry explained his reasons for wanting to revisit his music in this way. "I've wanted to experiment with performing my music with a live band for a while now," he said. "I first heard of BADBADNOTGOOD from this live session they did with Tyler [The Creator] a few years ago, We got a chance to link up in the studio while they were out in L.A. and the rest was history. "This means a lot to me because I get to hear my music re-imagined through live instruments and it's a bonus for my fans who are into other genres. It was a challenge trying to nail that same energy but I think we did it. I may experiment with it more moving forward, I'd love to work with them again on something original." The "Ultimate (BADBADNOTGOOD Sessions)" video can be seen above. Curry has also announced an extensive European tour set to begin in November. The tour runs through until December with all dates and venue information seen in the poster below.